When TRIMS Grounds Management Software® is launched, a Daily Event Calendar automatically appears with the current date highlighted. Employee Birthdays and Chemical Application Plans are automatically placed on the calendar for the user. When the Chemical Application has been completed, TRIMS will automatically remove the application from the Calendar. Record miscellaneous happenings such as special events or recurring jobs to help plan your day, week, or month. 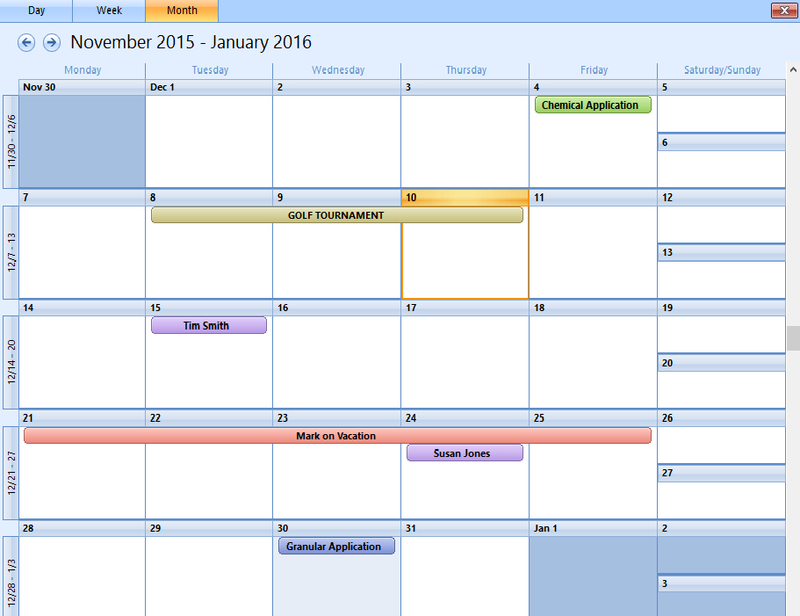 Double-click on any Event to see details or print the entire monthly Calendar. Use TRIMS Cloud Computing to add or edit Daily Events via an iPhone, iPad, Android Device or any web browser.